Highland Records 1151 45rpm 7" vinyl record. VG Vinyl: some gloss with substantial scuffs & scratches. 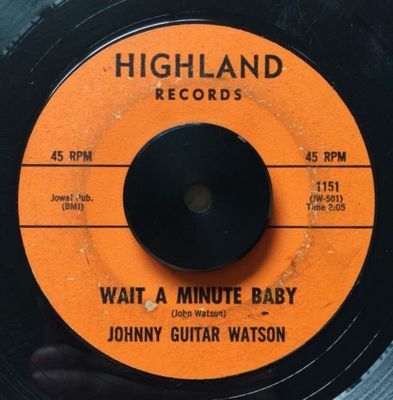 Click on MP3 to hear the full Johnny Guitar Watson 45 record being sold.